Ensuring awareness of basic health care knowledge among students, the Central Board of Secondary Education (CBSE) is planning to include Health Science as a new subject. While the Health Science syllabus has been framed by the Ministry of Health and Family Welfare along with the All India Institute of Medical Sciences, the new syllabus will include a guideline basic primary healthcare need. The HRD Ministry is reviewing the new syllabus, according to reports. The new syllabus will be added to the existing curriculum of CBSE for standards 9, 10, 11 and 12 in the new academic session which begins in April. 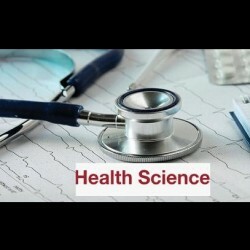 Health science, the discipline of applied science, deals with human and animal health. It can be divided into two parts. Deals with the application of knowledge to improve health, cure diseases, and understanding how humans and animals function.